Lithium ion battery technology is safe, efficient and reliable. Lithium ion batteries have been in use for many years, and they power everything from our phones and computers to our kitchen appliances and cars. Factories around the world produce batteries totaling hundreds of gigawatt-hours in total capacity each year, with the total production expected to exceed one terawatt-hour within the next 10 years. That’s millions upon millions of batteries – and almost all of them will provide years of trouble-free operation. In any large enough population of electronic products, though, a few will have problems – and when the product in question is a powerful battery, a problem could result in a fire. On airliners alone, there have been at least 225 lithium ion battery incidents reported since 1991. While it’s possible that a battery issue can occur through no fault of your own, lithium ion battery fires can also happen due to user error – particularly when those batteries are bare cells such as the 18650 batteries commonly used in flashlights and vaping devices. Do you handle lithium ion batteries on a regular basis? Of course you do – because it’s nearly impossible for any modern consumer to avoid them. You owe it to yourself, then, to ensure that you’re using your battery-powered devices in the safest way possible. Follow these 4 battery safety tips to maximize your safety when using lithium ion batteries. As we mentioned above, you may handle bare lithium ion cells on a daily basis if you vape or use a powerful flashlight. You can never have quite enough battery power available, so the temptation to carry spare batteries in your pocket may be strong – but don’t do it. The entire metal enclosure of a lithium ion battery conducts electricity, and a short circuit can occur if any metal object touches the positive terminal of the battery while simultaneously touching any other part of the battery. When you short a lithium ion battery, the cell releases all of its stored power in an instant – and that’s a considerable amount of power. Such a rapid release of energy may cause the battery to overheat, vent hot gas and catch fire. You do not want that to happen in your pocket. Around the world, dozens of people have had uncontrollable fires start spontaneously in their pants because their batteries touched keys, coins or other spare batteries. If you need to transport bare lithium ion cells, carry them in a protective case. Wall charging adapters for products such as mobile phones, tablets and laptops take a lot of abuse. You use them every day. They may even travel with you daily to and from work or school. With all of the use it sees, it’s likely that many of your electronic devices will outlive their charging equipment – and when the device in question is made by a company such as Apple, you might experience a bit of sticker shock when you go to buy a replacement. Why would you pay $30 for a USB wall adapter with an Apple logo when you could get a third-party charger from Amazon for $10? While it’s true that you are to a certain extent paying a premium price to own an accessory with a name-brand logo, another reason for the higher price is the fact that Apple and companies like it pay agencies such as Underwriters Laboratories (UL) to test and certify their products. Off-brand electronics makers, on the other hand, may skip those tests and simply put fake certifications on their products instead. Publications such as Consumer Reports have reported extensively on the dangers of using off-brand charging equipment. A charging adapter that doesn’t meet the specifications for the device it’s charging may cause the battery in the device to short circuit or overheat. It’s definitely worthwhile to spend a few extra dollars for a charger that the device’s manufacturer has confirmed is safe to use. If you look online for reports of fires and other incidents when charging lithium-ion batteries, you’ll see many incidents in which people acted quickly and disconnected their devices from the chargers because they noticed unusual smells. There are several reasons why an electronic device might emit a strange smell during charging, and none of those reasons are good. The smell could be from the capacitors in the charging adapter swelling and releasing toxic gas. It could be from the battery’s internal components overheating and fusing together. Regardless of the circumstances, disconnecting the device from the charger quickly can prevent an overheating battery from causing a house fire that leads to property damage, injury or death. 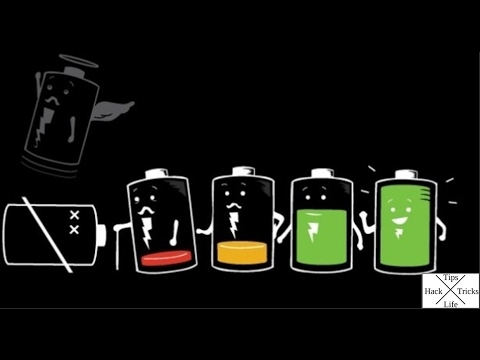 Don’t charge batteries while you’re sleeping or out of the house. While you charge batteries, you should always be available to take quick action if something unusual occurs. Lithium-ion batteries work well in a wide range of temperatures, but you should avoid allowing any lithium-ion battery to reach a temperature below 32 degrees or above 265 degrees Fahrenheit. Above 265 degrees, the chemicals in the battery may become unstable, at which point it can enter thermal runaway, vent hot gas and catch fire. Newer lithium-manganese chemistry remains stable at higher temperatures – up to 482 degrees – but it’s wise to exercise caution regardless of the type of battery you’re using. Keep your batteries away from hot items such as stoves, kettles and clothes dryers. Cold temperatures are likewise dangerous for lithium-ion batteries. In freezing temperatures, the lithium in a lithium-ion battery can form a plate around the anode and harm the battery’s structural integrity. It then becomes much more likely that the battery will fail if it’s used in a high-demand scenario or charged with a fast-charging adapter.